I know it’s July but can you believe Christmas will be here in just a few months and you’ll want to make sure you are ready and have al your Gingerbread goodies. 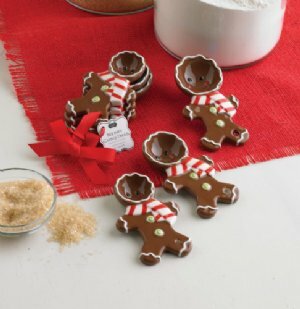 Check out these super cute measuring spoons in the form of little Gingerbread boys. These are so darn cute!! Imagine baking those Gingerbread Houses with these cute kitchen spoons to help measure the ingredients. Details Here.